Needing a Chris Hester Soundtrack? Now available here or in over 650 Christian bookstores nationwide! Thank you for stopping by my website. I hope you will find it easy to use, uplifting, and encouraging. My hopes are that you will find something that stirs your soul through the message in the music and take you to places beyond your dreams. Having the opportunity for you to listen, request, or purchase something I may have recorded or written that gives honor to our creator is what I am all about. You are unique and special and to have you here on my website is truly an honor. I hope to see you in a concert nearby soon. 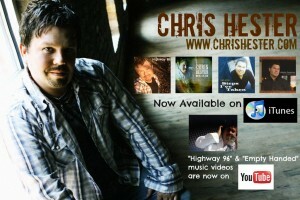 Welcome to the official website of Chris Hester. 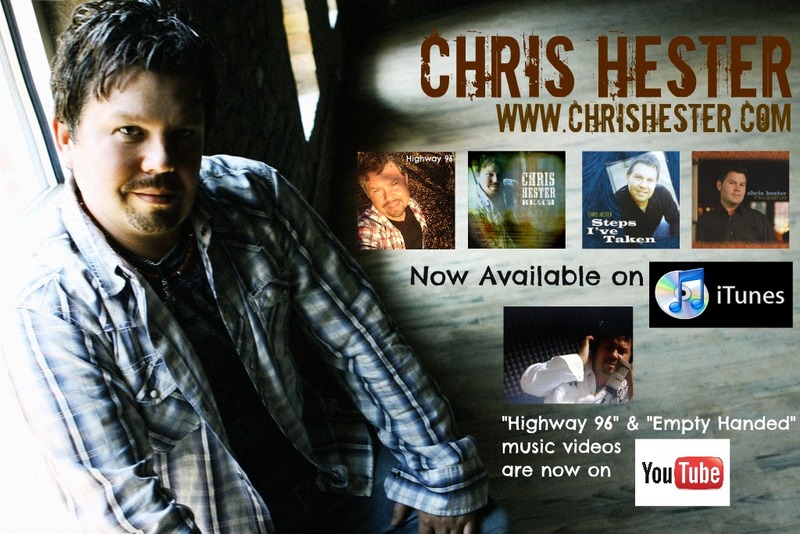 Here you will find exclusive photos, product availability, and some of the most up to date information on tours, concerts, and upcoming music and events of today’s hottest male vocalist on the road in Christian music! This year marks nine years of music ministry with numerous chart topping songs in gospel music! Submitted for a prestigious Dove Award two years consecutively for having cut “Country Recorded Song Of The Year”, and numerous hits to Christian radio nationwide! Check out the website to see featured music products and tour dates for an upcoming concert near you!